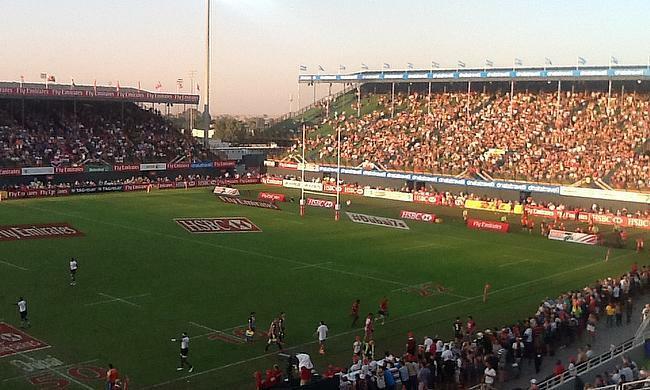 The 2018 Emirates Airline Dubai Rugby Sevens kicks off today at The Sevens Stadium. Now in it’s 49th year, it is set to be the largest event on record with over 900 rugby and netball matches across the three days and enhanced entertainment for everyone. In the build up to this year’s tournament TRU content has been sponsored by Brightsun Travel; who in collaboration with Emirates have been able to offer excellent travel packages. There will be plenty of news and action over the next few days across TRU platforms. There will be plenty of memories made, superb 7s rugby both elite and invitational. Dubai will host both the men’s and women’s HSBC World Rugby Sevens Series, acting as the men’s series opener and round two of the women’s. In addition, the largest Emirates Airline Invitation Tournament for rugby and netball to date will see action on all eight rugby pitches and three netball courts. Speaking whilst at the World Rugby Awards; World Rugby Chairman Bill Beaumont commented: World Rugby Chair, Bill Beaumont said: “This is an exciting year for the HSBC World Rugby Sevens Series, as not only will the best women’s and men’s sevens teams in the world again compete for the coveted world series title, they will also look to secure their ticket to Tokyo 2020 with the series acting as principle route for Olympic qualification. “Dubai has been a long serving and welcoming host for the world series and this year we are especially delighted to be back as we celebrate the 20th anniversary of the men’s competition, which held its inaugural round in Dubai in 1999. Qais Al Dhalai, Secretary General, UAE Rugby Federation, Chairman of Arab Rugby Federation said: “The UAE Rugby Federation, once again, is very pleased to welcome all teams, officials, and spectators, to what we expect will be an exciting and successful Emirates Airline Dubai Rugby Sevens. “We are pleased to be part of a successful partnership story with Emirates Airline and HSBC, for years past and to come. “We, at the Federation, are delighted to see the popularity of Sevens grow within the Emirati community, we are thrilled to be in the position to take our sport into more Emirati Schools and introduce our game to more boys and girls through World Rugby’s ‘Get Into Rugby’ programme. We are extremely grateful to the General Authority for Sports, and the Ministry of Education for including this programme as part of the schools’ curriculum. Alongside this world-class entertainment, this year’s tribute artist, Britney Spears, will be entertaining fans in the stands on pitch 1 throughout the weekend. Flying in from Las Vegas, the Dubai Sevens tribute artist and her dancers will be performing some of Britney Spears’ most popular songs. And Remix Rich from Dubai 92 will take over Rugby Rock on Friday and Saturday night from 9pm playing some of the biggest hits from the 90s to now. For the families, the popular Rugby Village will have a brand new feature with ‘Splash ‘n’ Party’, the coolest and most exciting aqua park where kids can keep cool all weekend long. Those looking for something more daring can play in the brand new Adventure Zone for free, also situated in the Rugby Village. Children can jump around all day long with trampoline fun from Bounce - the popular trampoline park. In addition, Quest for Adventure will be teaching kids how to abseil on their climbing walls and those aged ten or older can battle it out in teams with Archery Tag. Entrance to Thursday’s action is completely free and will include international action on pitch 1 with the second leg of the HSBC World Rugby Women’s Sevens Series and the start of the Emirates Airline Invitation Rugby & Netball Tournament.